As a big fan of the neon trend this season, I can't help but smile or rejoice everytime i find an editorial dedicated to vibrant and eye-popping colors. Some people love to wear layers and layers of colors (good on them! ), I prefer adding colors through accessories. 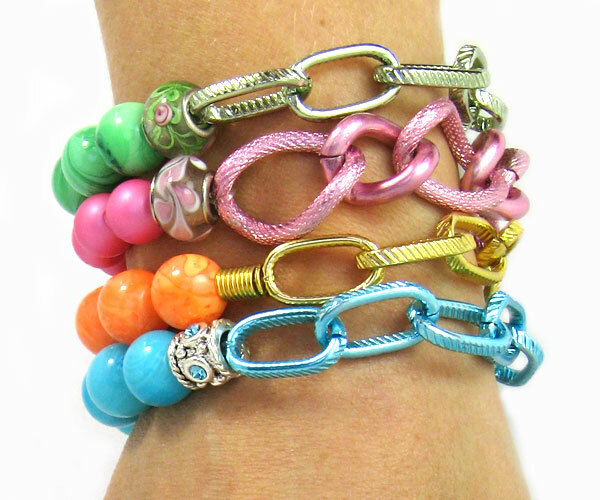 Check out the fruit bowl mix of bracelets below! !